Still being held back by my Bali-Belly we started the day easily. I got some remedies (Charcoal, mainly) to fix the troubles and with all my good vibes and energy this just had to work out. 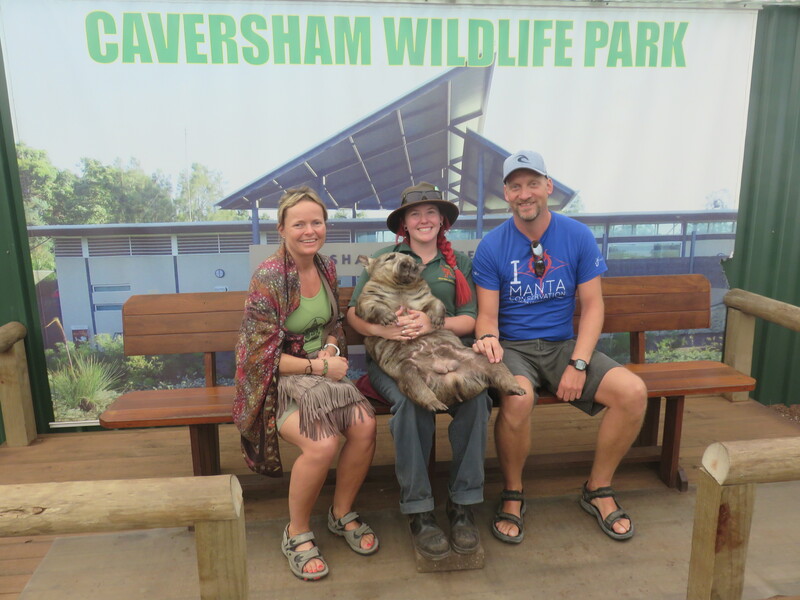 The we set of to the Caversham wildlife park. We did do some domestic chores before that, though. We uses vacuum bags as part of our packing. Nothing fancy, we got ours at the local Clas Ohlson store. But they server multiple purposes for us. First they make whatever we put in them smaller in size. That’s makes it easier to get it all in the backpack. Secondly it will protect clothing from getting wet when we will enter the rainy season somewhere here in Asia. Lastly, as it has been used for quite a while now, dirty clothing do not “contaminate” other clothing while packed like this. We had our outer shell gear from our climb on Mt. Rinjani put away like this. We did not trust the local Balinese laundry with this stuff as it is the most expensive pieces of clothing we brought. As Mike, before he turned professional martial artist, used to be a salesman of domestic appliances. That said, his washing machine could probably take on my total family. So we got to wash our precious clothing at last. Next project will be to wash the hiking shoes that we used. I do NOT look forward to that task. When ever you are in Australia you need to tick of a few boxes on the to-do-list. Among them are seeing Koalas, Kangaroos and Wombats. To make sure we will not leave with any unchecked we took ’em all in one glorious morning. The sun were shining and the temperature was about 21 centigrade’s. Basically a normal Norwegian summer day, and hot enough to just wear shorts and t-shirt. And that’s good, for I only brought one pair of jeans on this trip. The park was filled with mostly kids and their grandparents. It’s the second week of a school holiday here in Australia, and I guess it works as it does back home: There is to many holidays in school compared to what the parents have days of work. We got to take a tram ride in a the bush, and it is actually a bush. The landscape in the park is all natural and there is no grooming. We got to see some of the local bush grow, and even learn some names that are not politically correct anymore. The place contains several different exhibits like a tractor museum, car museum, petting zoo, old train and tram and the normal bird and animal zoo. We spent our time in the zoo after the tram ride. Getting to see the classical, maybe even iconic, animals like the wallaby, kangaroo and koala’s were just amazingly cool. Fun fact: Did you know the koala don’t drink any water? And is named after the Aboriginal word for “living in the trees”? No, well now you do. 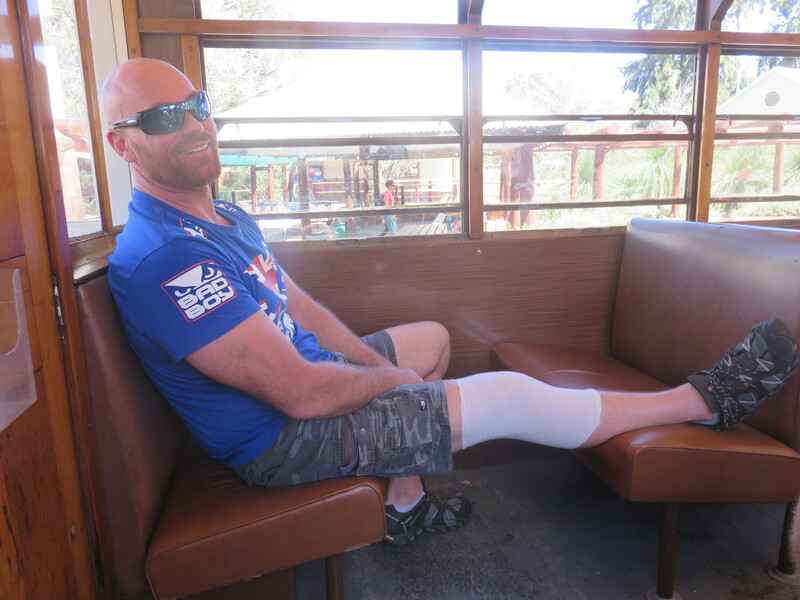 Mike had a knee surgery for just a couple of weeks ago. That he’s up and walking already is very nice, and he has the stamina to do walks like the one we did. Even though I think we can say that our eager to see as much as possible strained his limits. We got to see the wombat first. It looked like a drugged up fat cat, to be honest. The lady sitting with on her lap was constantly smiling while the line for people to get pictures seemed never ending. We were allowed to touch the old bugger on one knee each, snipp snapp – and off we go. Then we did the walk around and into petting pens to meet and greet kangaroo’s and Koala’s. Soft, Cute and cuddly. Oh well, two out of three ain’t bad. Cuddly they are note. The kangaroo’s are overrun by people all day and probably not more interested in us that in the minor bugs around. For the koalas? 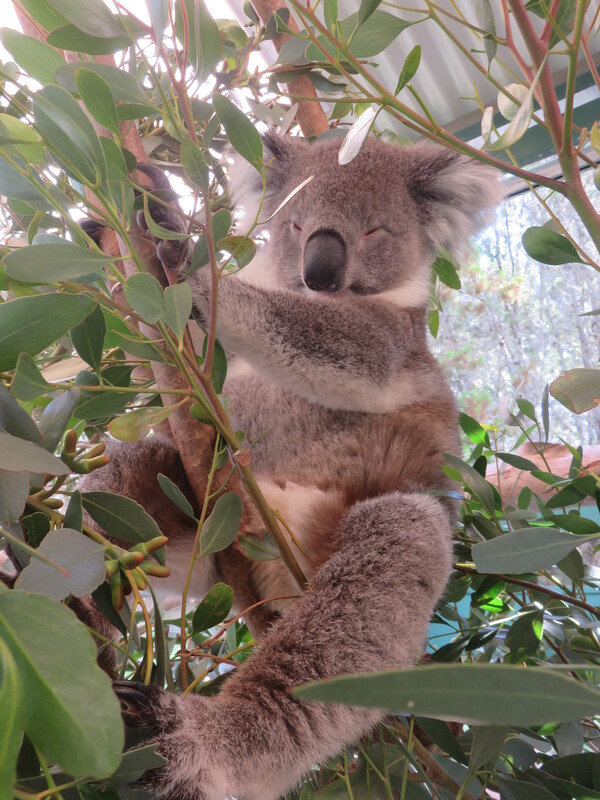 They sleep 18-20 hours a day, eats only eucalyptus leaves which gives them just enough energy to sleep and eat more leaves. The lady watching the koalas got at bit upset with me as I claimed that the koala is a dead end in evolution. When you have natural enemies (beside humans) but still is design for just sleeping and eating leaves that makes you sleep more… you probably want make offspring’s that will revolutionize anything. Back of the hand, on the back of the Koala. After that we did tree hours of Kali at AMA (Advanced Martial Arts & Fitness) that’s Mike’s Club. Well, I was still under the influence of the Bali-Belly and was drained after the first hour of Panantukan (boxing). I rested while Katja did the mid class, and then I joined in again for the double sticks in the end. Good energy, good spirit and a lot of good training. We’ll do three more hours on Thursday. Heikki is not around Perth at the moment but he will let us know when he’s back, so we can meet up. We look forward to that. Hopefully we can get to met Becky while down here as well. Right now we’re focusing on one day at a time.